Guest Artist Liaison Berny Tan will be curating a group exhibition entitled Deviations in London showing from February 19-24, 2019. The show will feature ten artists from Singapore who are currently or were recently based in the UK. Criticism Editor Ellen Jones reviewed Rita Indiana’s Tentacle (translated by Achy Obejas) in the Los Angeles Review of Books. Her translation of Rodrigo Fuentes’s collection of short stories, Trout, Belly Up, is also newly published by Charco Press. 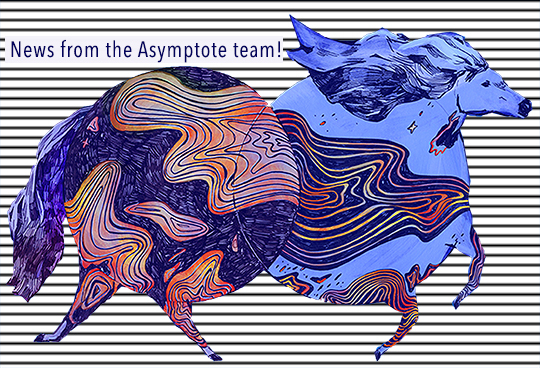 You can read an extract from the book in Asymptote’s new Winter edition. Assistant Managing Editor Jacob Silkstone was a reader at LittfestBergen, Bergen’s first international literature festival.